Home » Apps » Mobistealth Review: Will This Cell Phone Spy App Help You? Mobistealth spy software is an all-in-one solution to your cell phone monitoring needs. Providing peace of mind to parents who want to monitor their children’s activities, alerting employers to abuses of company time and resources and answering the question “Is my spouse cheating on me?”, this product lets you have your eyes and ears everywhere… all from the comfort of your computer desktop. Available for Android, iPhone, Nokia and Blackberry, this robust application is easy to install, use and most importantly – hide! If you are simply interested in monitoring just elementary activities, the Basic package is ideal for you. Features – With the push of a button, you can track the phone’s location via GPS, log call history files (both incoming and outgoing calls) and SMS (text) files. Subscriptions & Price – Available only in 2 week increments, the actual cost is just $19.99 per one period. Word Of Advice: This one is perfect if you are not looking for current, real-time live data! For slightly more advanced needs there is the Lite plan. Features – In addition to stuff included above (GPS tracking, info on calls and SMS monitoring), this upgraded version gives you access to browser history, bookmarks and contact list details as well. Subscriptions & Costs – Available in 3, 6 or 12 month increments for prices ranging from $39.99 up to $99.99. Serious stealth users may be interested in the Pro version. This one again provides all of the previously listed components, with the inclusion of several key new stuff! Features – Now, regardless of where the phone is located its tracking is possible through the GPS. Additional tools worth mentioning are the access to picture logging as well as recording of surrounding sounds. As an extra security measure, this plan includes even a SIM change notification feature. In addition, there is a wipe out data feature that allows you to remotely wipe out all information on the device. 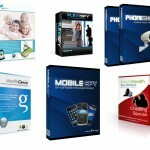 Subscriptions & Price – The Pro is actually available in 3, 6 or 12 month packages for $69.99 to $99.99. Those who want to gather as much data as possible will be thrilled with the full capabilities of this plan. Features – WhatsApp messages are all collected, so you can read them later from the integrated desktop and will eliminate the guesswork about what is really going on when you’re not around. Combining this with powerful secret conversation recorder gives you a complete picture of the activities you’ve been missing. What is more, all these recordings are saved for playback on the Mobistealth user’s site. Subscriptions & Costs - With prices ranging from $99.99 to $199.99 for either a 3, 6 or 12 months, this customer favorite package gives you complete access to everything being done on the target phone. User Friendly – This product is easy to operate. With minimal computer knowledge, you can log on and begin harvesting the data you crave for. Inexpensive – It is relatively one of the less costly solutions, and has an simple interface that drills down information into comfortable and working talents. Short contract periods allow for minimal usage and are reasonably priced. Huge Data – What is more, it can return a tremendous amount of concrete and actual stuff that can be used for company reporting purposes and family matters as well. Initial Access Required – This app must be manually installed in concrete gadget you want to start monitoring. This requires the user to have hands on access to the device before this process can be completed. Limiting – The “blanket” time period blocks limit your tracking and forces consumers into purchasing what may be more than is necessary for their needs. Once you have registered and signed up for your monitoring account, you will be sent an email detailing the download instructions for the device you have selected. Proceed with the installation when you have access to the phone. After this process will finish, you are practically done. You will then be able to log onto your site at Mobistealth.com to observe all the monitored items in one place. Even this is similarly easy to accomplish. Complete the registration, making sure that you select the appropriate operating system of the phone you want to track. Then wait for the email that will give you further instructions. Please Note: Within the email will be step-by-step guidance to download and install both the spy software and the stylus as well. Go to Mobistealth.com in your internet browser. Look for the green “Log In” button near the top left corner of the page. Enter your username and password, and you are ready to get your spy gear out. Please Note: Once logged into the site, you can determine what type and the real extent of monitoring you want to accomplish. Mobistealth installs without a trace! There are no icons, no trails and no indications that the device is being monitored, leaving it’s owner free to behave normally. This allows the spyware user to get a true idea of what the person is doing. As an employer, you can verify if an employee is wasting company time and resources, and you can keep tabs on your child and their friends. When you have completed your monitoring, or you have finally found definitive proof one way or another about the activities of your spouse/employee/child, you may want to remove the tracking system once and for all without any trace of its presence. In such case simply follow your device’s “control panel” instructions for removing programs by performing uninstall. Spying on another person’s behavior can be stressful and disheartening. Whether it’s a wayward child who is making bad choices about their friendships or an employee who is using their company provided phone to make “pay by the minute” calls, the last thing you want to have to deal with is a complicated monitoring program. Using this program will provide you with the concrete information you need. Then, it is up to you how to proceed with the it. In the case of a child, perhaps a reasonable punishment of “going without all the mobile devices” may encourage them to remedy their behavior. An employee taking advantage of their work phone may need a written reprimand and be required to repay the company for the charges. Wayward spouses may be forced to consider divorce when faced with insurmountable evidence of an affair. Customer concerns and issues are not addressed by the service department, which is an indicator that either they have no complaints or problems, or they shuffle them off to other department before they can become a larger problem. While it is doubtful that there are absolutely no issues, it does speak well of the company that there are so few people trying to trash their reputation. Regardless of your reasoning for needing spy program, this brand is committed to providing you with top notch service and quality reporting. When you need answers and do not want to waste your time or money, trust your stealth software to Mobistealth.